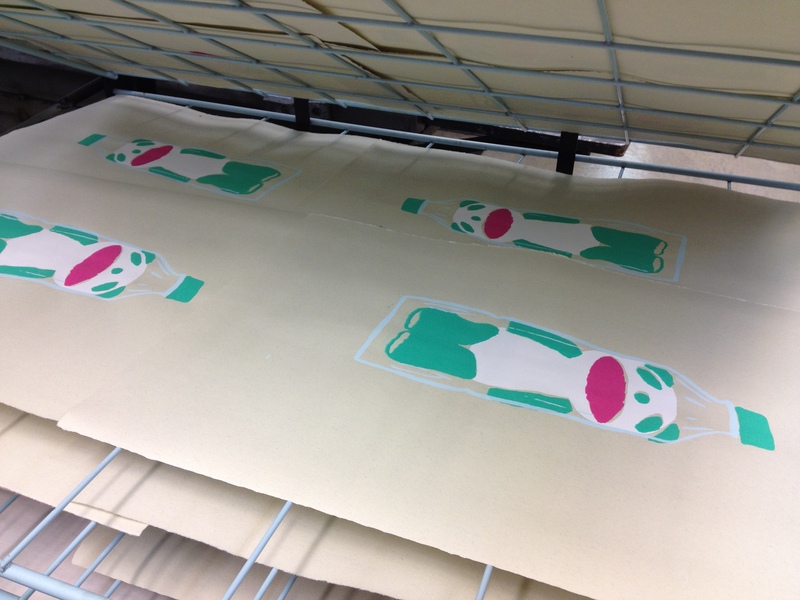 Jes Lee » Blog Archive » Screen printing!!! I spent the evening (5 hours to be exact!) 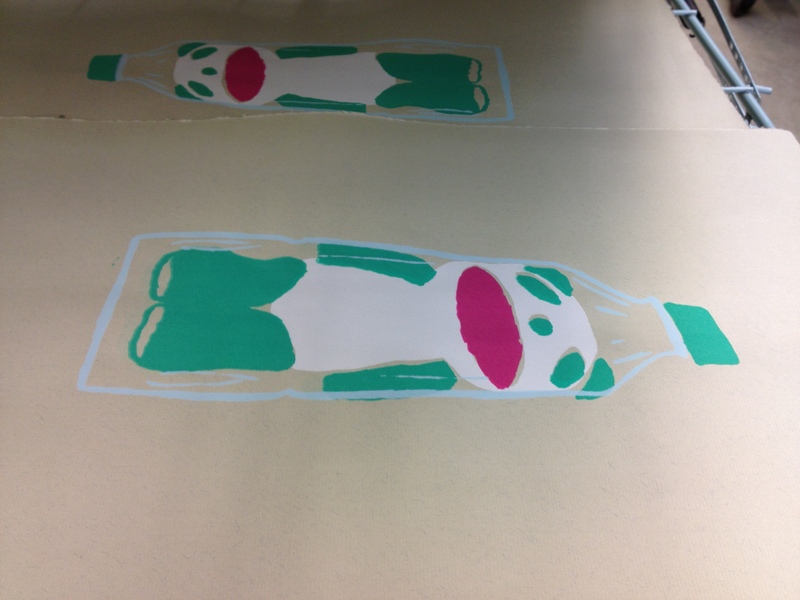 screen printing with Laura Brown at Minnesota Center for Book Arts. Screen printing is one of those things that I have always wanted to try, but have always been a bit afraid to just jump into. Mostly because you need screens and emulsion and ink and those things add up to be a lot in ‘buy-your-own-supplies’ land when you just want to see if you like it or not. The members of the Artist Co-op at MCBA were offered a free workshop awhile back so we could get a feel for the screen printing process and the studio space and hopefully get a few more of us interested in the medium. I got a little taste of it, but never felt like I had the skill to really work on it on my own. Laura Brown was lucky enough to participate in this amazing residency program where she learned a lot more about screen printing and was willing to share some of her knowledge with me in a trade we worked out. It was amazing! Not only do I have a pretty cool set of prints drying in the racks at MCBA right now (4 freaking colors I might add!!) but I totally feel like I could go back tomorrow or next week and create another set of awesome prints. We thought about stopping after two colors, but because my dear Mr. FN was willing to go out and bring us back pizza and beverages, we kept working for 5 hours and finished the whole run of prints. The best way to learn a new medium is just by doing it, and by doing an entire project all at once. Just stick with it. That process is now engrained in me! I am so excited to try it again. I have said before that a lot of my summer will be spent experimenting. I am working in the darkroom more again, planning to work more with toning darkroom prints, and after tonight I am planning how screen printing could enter into all of this. Another layer. I can’t wait to get started! As soon as I have my prints back from the drying racks, I will post a better image of them. For now, here is this! This image came from a photograph I took in Japan when we were there in 2009. I separated the colors by hand, tracing each color onto a different piece of paper, and used that to expose the screens. Then each color was printed one on top of the other, creating some over laps and some little bits that are off, but those variations are part of the process and I love them! The photo this came from! 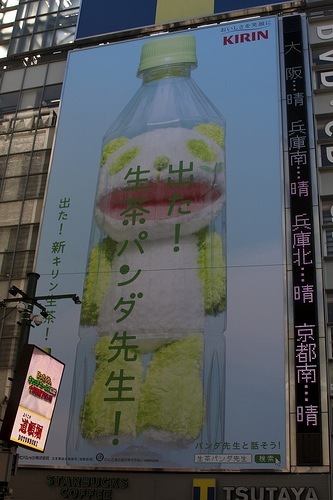 This was a billboard in Dotombori, Japan – not far from Osaka.